We test dozens of university-trained sculptors to find those most able to sculpt realistic heads, and only a select few meet our exacting requirements. Then we train them for several months. Our sculptors make tens of thousands of individual bobbleheads a year, so they have experience as well as talent and training. They know how to make the bobblehead look just like the pictures you send. 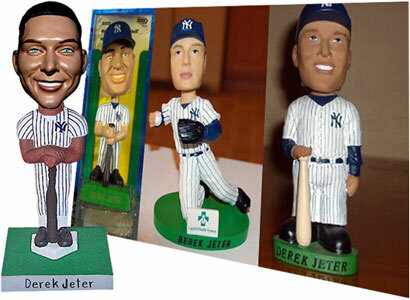 Compare the Derek Jeter doll made by our competitor with the one our sculptor created! 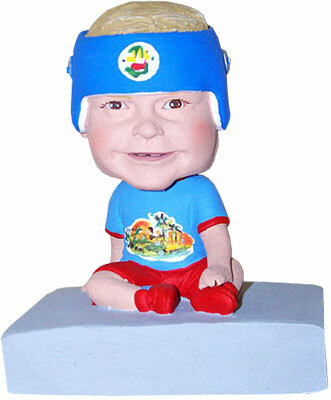 When you order from Whoopass Enterprises, you get a doll sculpted by one of the "Michaelangelos" of bobblehead-making. 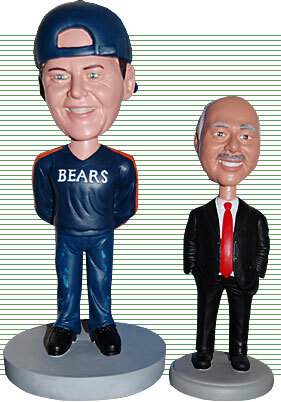 Our bobbleheads are a lot bigger than you can find elsewhere. Whoopass dolls are between 8.5 and 9 inches tall, not 7 or even 6 inches. Our larger doll lets us capture more details and create a more realistic face. And besides, our bigger dolls just look cooler! 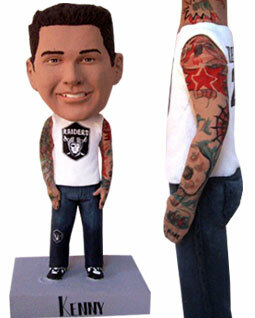 In fact, we have been able to rescue many events whose planners were told their dolls would not be coming after all--we can have bobbleheads to you (even for large orders) in as little as 1 to 2 weeks. 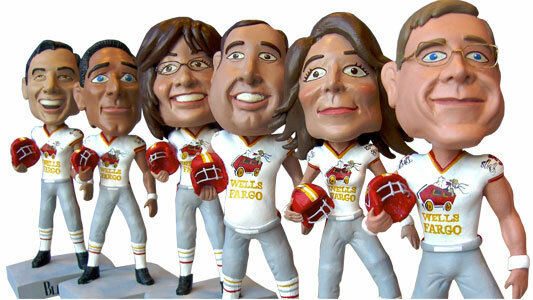 Whoopass was the first large bobblehead company to make individual dolls, and we've been making them for many years now. Over 95% of our customers would recommend us to a friend, which is quite a testimonial! We know the best way to keep our business healthy and growing is to give you an excellent product and top-notch service. Check our testimonials to hear from some of our customers.